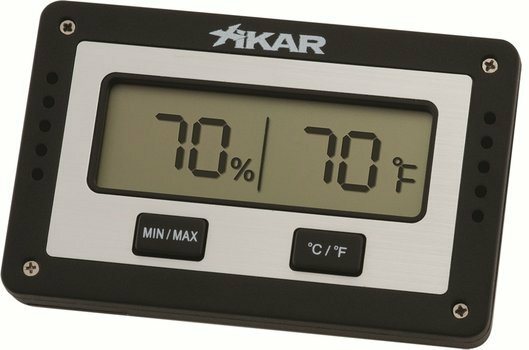 Digital Hygrometer with thermometer for easy humidity control. There is no reset or calibration function. Super hygrometer. Rule as a cottier louis. A must for your cigar or wine humidor.